▷ Apple Student discount ⇒ MacBook Offer for Students! This discount is valid indefinitely. Apple offers student discount to university students, parents of university students, teachers and staff employed by educational institutions. Why are Apple products so popular among students? Apple stands for quality! Apple products are progressive, user-friendly, extremely powerful and stylish. It's no surprise then ... that Apple products are so popular among students. Students use a lot of electronics these days, for example smartphones or daily use of a laptop. These products must therefore be fast, light, user-friendly, reliable and durable. Of course all of this requires a good battery life. When you choose Apple, you're making the right choice. In short: Apple products are ideal for students! Especially with Apple student discount! 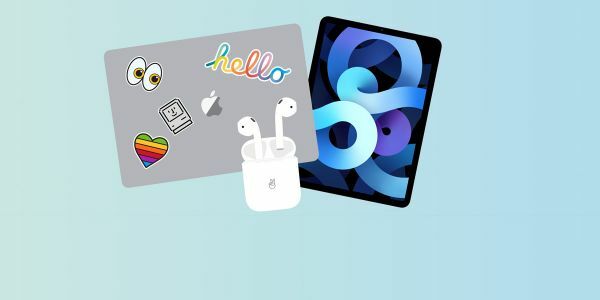 Which Apple products are available with student discount? MacBook - MacBook, MacBook Air and MacBook Pro. Mac - iMac, Mac Mini and Mac Pro. Accessoires - You get student discount on various accessories. Apple Music - Apple Music. How many Apple products can you buy with student discount? The aforementioned purchases can be made online or at an Apple Store. Where the purchase is made does not affect the total of the purchased products. When the academic year is over, you can buy the above amount of Apple products again with student discount. There is no purchase limit on other Apple products.